Nugget Valley Gold Prospecting Adventures Ltd. was established in the summer of 2011. We have been showing several budding prospectors from all over the world the fever that finding coarse gold can create! Book a trip with us and we assure you that if the gold and platinum does not take your breath away the hiking and scenery will! We have bookings available from June through September and look forward to bringing many of you the prospecting trip of a lifetime. At Nugget valley we strive to cater the trip to your needs. We have several claims available for our use and own many ourselves. We offer varying and different types of trips catered to your desires. 1. 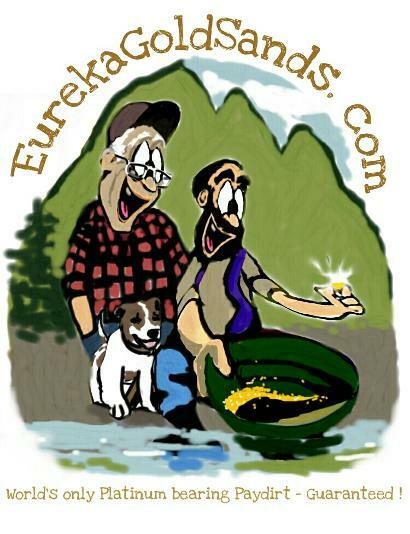 Our beginner's trip that includes an 6 hour day with us, we bring you to easy to hike to or drive up locations where we can teach you the basics of panning and gold prospecting. We guarantee that you will always find some gold on our trips but the difficulty of access determines nugget size and quantities found so the harder the trip the better the reward. 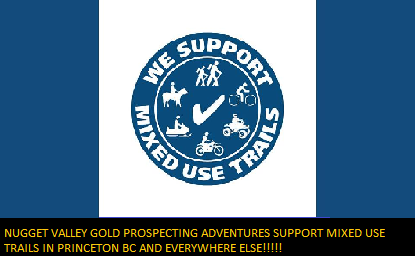 Our Beginner trip starts at $149 CDN per day for one person or $99 CDN per day for multiple people, for basic transport to and from the site, gold diggings. Mining equipment is supplied and fully guided and educational services are provided. Should you wish a catered lunch, breakfast or dinner we can do that or you can pack your own, extra charges apply. Guests are responsible for personal camping gear (sleeping bag personal affects) if taking a multi-day camp style trip. We also offer motel accommodations at discounts with two partner motels in the area, if this is your preferred choice you may choose to provide your own ride and follow us in and out from the claims or for a small additional charge we can shuttle you daily from your room. 2. Our intermediate trip involves light hiking over semi rough terrain. we provide the same services as our beginner package, if camping is required we will set your camp up for you but as in the beginner's trip you must provide your own sleeping and personal affects. these trips will get you into less worked territory where the possibility of a decent strike is good. Gold and platinum are guaranteed to be found on this trip. Prices start at $249 CDN per day for 1 person or $199 CDN per day for multiple people plus any additional accommodations you may require, please call and ask us anything you wish. 3. Our newest and 3rd most economical trip will take you to the often written about legacy claim known as Cornflakes, on the wild Similkameen river. This is a brand new trip for 2018 and we have yet to set our first camp up but it is looking like we have motorhome access off of highway 3 details to come on this. The Cornflakes claim came to me as a generous gift from a recently retired old sour dough prospector by the name of Marvin Munroe, whom we intend to create something to commemorate his nearly 30 years on the claim! This should be our most accessible claim to date and a real gem to have because as the name suggests the gold can look like cornflakes! Pricing for this trip is estimated to start at $279 per day for one person and $239 CDN per day for multi person parties, this claim seems like it can hold a larger crowd we will update you with more details on this trip by late April, soon as the snow let's us in, we are super excited about this acquisition! 5. Our fifth and by far most popular trip is our pro prospector trip, this involves a hike into the famous Nugget Valley where the gold and platinum supply for the Eureka Gold Sands Paydirt Company I have headed for 21 years comes from! This claim has a rustic tent cabin located at the top of a breathtaking view, our logo is actually a picture taken from the front of the cabin. This trip is for those of you in decent shape with no heart conditions or other physical conditions that strenuous activity could aggravate to any dangerous degree. 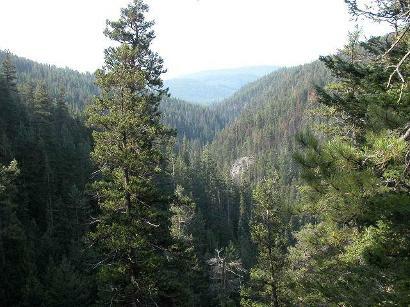 The claim is located 18 kilometers from the tiny hamlet of Coalmont where we park in a logging cut and start our hike, we can provide a packer at $30/hour if you require the help. The first stage of our hike is about 1 mile down steep terrain to the bush cabin where we unload and rest, have a coffee etc. We then take a smaller backpack and load it with what we need for our prospecting day (you must provide secondary pack) At this point we take a 1000 foot decent down into the canyon using ropes to stabilize yourself along the way. the trail is very steep but well developed and the ropes are strong and are there for your use, I personally can scale up and down without the ropes as long as it is a dry day lol! 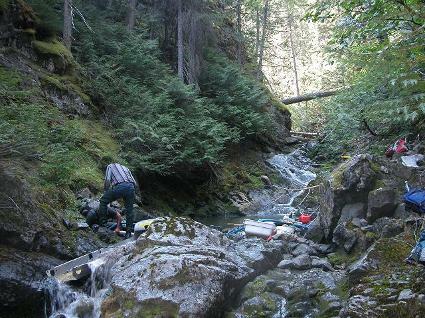 Once at the creek we hike any where from 100-1000 yards to our diggings where we guarantee you will find at least one gram of chunky gold nuggets and platinum nuggets for each day you stay, we have had several clients find 1/4 ounce per day more than paying for their adventure to this one of a kind claim. There is a ton of history we can show you .... ancient walls built of stone by the Chinese who first mined the creek. Lower down there are piles of ore cart rails and metal remnants of flumes and other equipment, left behind after an "adit" (entrance to underground mine) collapsed taking some miners with it. The adits are lost and you are welcome to try your luck with a metal detector but I warn you the terrain is tough. At this camp we can supply catering or you can pitch in food and we will pool together and cook together. This trip can be done in a day but this is not recommended and is only for those whom are the fittest! We suggest if you really want a chance at hitting a serious hotspot a 3-4 day trip is recommended or longer if you like. Prices start at $399 CDN per day for one person or $349 per person if we are taking 2-4 maximum group size in. Dogs are welcome but if not bush wise and large not recommended, we have a trained dog that knows the claim and how to deal with critters should that come up. Additional security is carried by our licensed guides as well. This trip is highly customizable so please inquire with any questions you may have and check out a few pics we are going to post from guests and friends who have visited the claim. Some final points If you have a larger group or wish to book an extended stay or even just wish to camp out on your own in one of our safer locations we can work something out with you, just give us a phone call and see how accommodating we can be!